Louis Joliet, also known as Louis Joliet, was a French Canadian explorer known for his discoveries in North America. When Louis Joliet was born in Quebec, Canada, on September 21, 1645, North America was still a very wild place. The western regions had never been explored and many people still hoped to find a passageway to Asia. As a child, Louis Joliet studied to become a priest. He was also a skilled musician. As an adult, though, he became a fur trader and explorer. He thought that perhaps the Mississippi River led to Asia. 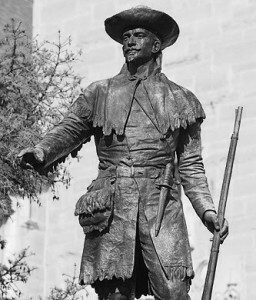 In 1673, he joined Jacques Marquette, a missionary, to explore the area. The two traveled by canoe to the Mississippi River. In the area that is now Illinois, they came to a small Native American village. The chief welcomed them and gave them a peace pipe. As the two explorers continued their journey, they came to another group of Indians near the Arkansas River. The Indians were ready to attack them. 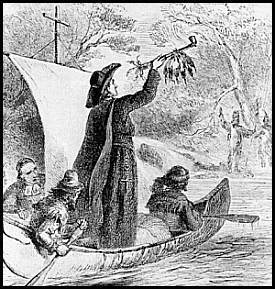 When Joliet showed the Indians the peace pipe, they took the two men to their village. They told the two men that armed, unfriendly Europeans were further down the river. Joliet realized that these Europeans were Spanish settlers and he knew that they were close to the Gulf of Mexico. He knew that the Mississippi River emptied into the Gulf of Mexico and would not provide a way to Asia and discovered Upper Mississippi river. Joliet and Marquette turned around to avoid a fight with the Spanish settlers. They returned home via the Illinois River. Joliet didn’t find what he was looking for, but his maps and notes were very useful for later expeditions. When Joliet returned to Quebec, he got married and settled down. He once again became a fur trader. He went on another expedition in 1679 to learn about the Hudson Bay area, followed by an expedition of the Labrador Coast. Joliet was famous for his maps and journals. He became a professor of Hydrography at the University of Quebec. Question: What happened to Marquette? Answer: His maps and journals were widely respected, as well. 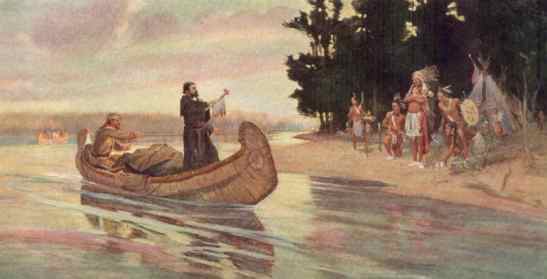 Unfortunately, Marquette came back to the Lake Michigan area a year later to teach the Indians about Christ. He became ill and died. Enjoyed the FREE Geography Kids Online all about Louis Joliet info? Take the FREE & fun all about Louis Joliet quiz and download FREE all about Louis Joliet worksheet for kids. For lengthy info click here. Declan, Tobin. " Louis Joliet Facts for Kids ." Easy Science for Kids, Apr 2019. Web. 21 Apr 2019. < https://easyscienceforkids.com/all-about-louis-joliet/ >.